Stephane Garelli, Professor at IMD, and the founder of the World Competitiveness Centre and Professor at the University of Lausanne. With a few weeks to go to UFI’s Global Congress, we reached out to Stephane Garelli, who will deliver a keynote about global economic developments. 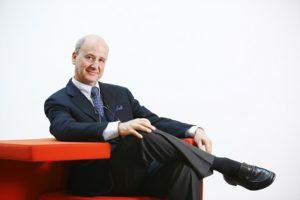 He is a Professor at IMD, and the founder of the World Competitiveness Centre and Professor at the University of Lausanne. Stephane’s work focuses primarily on how countries and businesses compete in International markets, bringing together external factors of technology and changing economics. 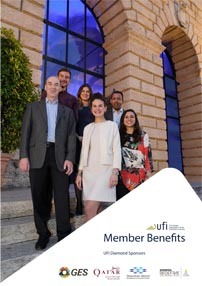 UFI: The exhibition industry thrives in markets where there is economic growth and a strong spirit of competition. What are the main factors outlining a competitive market right now and why? S.G: Just how competitive a market is depends on all kinds of factors. Interestingly, many of these factors determine just how successful the exhibition industry is, too. First of all, size matters. Nations that benefit from a large domestic market have or should have a head start on other nations. Even if the domestic market does not enjoy the same level of development everywhere, pockets of competition remain highly attractive, such as the Bangalore-Hyderabad region in India or the Sao Paulo region in Brazil. In India, there are just as many people who benefit from the same income level as in the UK. However, smaller economies can be attractive, too. They compensate for their size by offering increased efficiency and by becoming regional hubs. This is the strategy used by Singapore, Hong Kong and Dubai. Secondly, history and culture should not be overlooked. For example, in Germany, there is a long tradition of hosting fairs and exhibitions. This is perhaps down to the fragmented nature of the industry – there are many small to medium-sized companies who are based all over the country and welcome the chance of meeting in an exhibition context. Industries with a more centralised model don’t feel such a strong need for this kind of meeting. Furthermore, technology puts pressure on both, markets and the exhibition industry, to constantly reinvent the way things are done. Some companies question the need for exhibitions in an age of emails, video conferences, social media and new distribution channels. Today, e-commerce represents 1,782 billion US dollars of revenue worldwide and is used by 2.76 billion customers. For example, in Switzerland, the Swatch Group has just pulled out of the well-known Baselworld fair, which is a 100-year-old watch and jewellery exhibition. Although these challenges are significant, they do not remove the need for people to meet face to face and establish a long-term relationship. World leaders gather several times a year within all kind of formats. It is only logical that businesses would do the same throughout the exhibition industry. It is the best way to maintain an open and fair global business environment, which will benefit everybody. Speaking at the UFI Global Congress in St. Petersburg, Stephane will focus on economic growth and the exhibition industry, on sentiments and fall-outs from protectionism, GDP, EPS, stock indices and other interesting topics. “About the economy”, Thursday, 1 November 2018. Interview: Stephane Garelli on the economy & the exhibition industry by Monika Fourneaux Ceskova, UFI Marketing & Communication Manager.